Sir Issac Newton (1643- 1726) was an English mathematician, physicist and scientist. He is widely regarded as one of the most influential scientists of all time, developing new laws of mechanics, gravity and laws of motion. His work Principia Mathematica (1687) laid the framework for the Scientific Revolution of the Seventeenth Century. A great polymath, Newton’s investigations also included areas of optics, religion and alchemy. Sir Isaac Newton was born on Christmas Day, in 1643, to a relatively poor farming family. His father died three months before he was born. His mother later remarried, but her second husband did not get on with Isaac; leading to friction between Isaac and his parents. The young Isaac attended school at King’s School, Grantham in Lincolnshire (where his signature is still inscribed on the walls.) Isaac was one of the top students, but before completing his studies his mother withdrew him from school, so Isaac could work as a farmer. It was only through the intervention of the headmaster that Isaac was able to return to finish his studies; he passed his final exams with very good results and was able to go to Trinity College, Cambridge. At Cambridge, he was able to pursue his interests in mathematics, science and physics. At the time the prevailing education was based on Aristotle, but Isaac was more interested in modern mathematicians such as Rene Descartes. 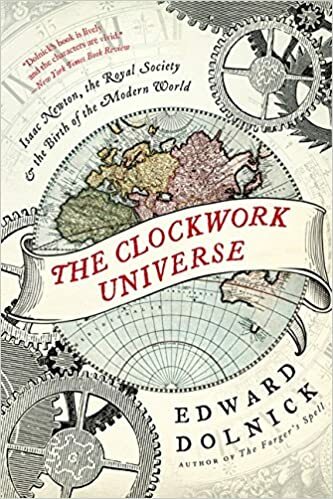 Isaac Newton had a prodigious capacity to consider mathematical problems, and then focus on them until he had solved the mystery behind them. His one-pointed nature led him to, at times, be detached from the world. For example, he had little time for women. An early teenage romance came to nothing, and he remained single throughout his life. Developing a theory of calculus. Unfortunately, at the same time as Newton, calculus was being developed by Leibniz. When Leibniz published his results, there was a bitter feud between the two men, with Newton claiming plagiarism. This bitter feud lasted until Leibniz death in 1713, it also extended between British mathematicians and the continent. Used geometry to derive solutions to Diophantine equations. Used power series with confidence and to revert power series. Discovered a new formula for pi. Optics – Newton made great advancements in the study of optics. In particular, he developed the spectrum by splitting white light through a prism. Telescope – Made significant improvements to the development of the telescope. However, when his ideas were criticised by Hooke, Newton withdrew from the public debate. He developed an antagonistic and hostile attitude to Hooke, throughout his life. Mechanics and Gravitation. In his famous book Principia Mathematica. (1687) Newton explained the three laws of motion that laid the framework for modern physics. This involved explaining planetary movements. 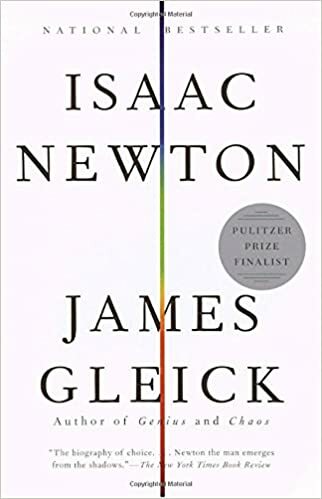 The most popular anecdote about Sir Isaac Newton is the story of how the theory of gravitation came to him, after being hit on the head with a falling apple. In reality, Newton and his friends may have exaggerated this story. Nevertheless, it is quite likely that seeing apples fall from trees may have influenced his theories of gravity. 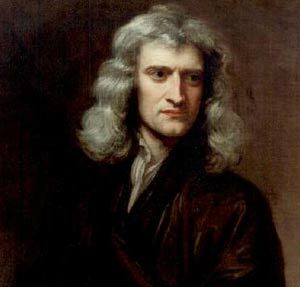 Newton was fascinated with the early Church and also the last chapter of the Bible Revelations. He spent many hours poring over the Bible, trying to find the secret Bible Code. He was rumoured to be a Rosicrucian. The religious beliefs that Newton held could have caused serious embarrassment at the time. Because of this, he kept his views hidden, almost to the point of obsession. This desire for secrecy seemed to be part of his nature. It was only on his death that his papers were opened up. The bishop who first opened Newton’s box, actually found them too shocking for public release, therefore, they were kept closed for many more years. Newton was also interested in alchemy. He experimented on many objects, using a lot of Mercury. Very high levels of mercury in his bloodstream may have contributed to his early death and irregularities in later life. Newton was made a member of the Royal Society in 1703. He was also given the job of Master of Mint in 1717. He took this job seriously and unofficially was responsible for moving England from the silver standard to the gold standard. Citation: Pettinger, Tejvan. “Biography of Sir Isaac Newton”, Oxford, www.biographyonline.net, 18th May. 2009. Last updated 28 Feb 2018.